If there’s any drawback to using cloud-based services for all your productivity and organization needs, it’s that if you can’t get an Internet connection, you’re basically out of luck. 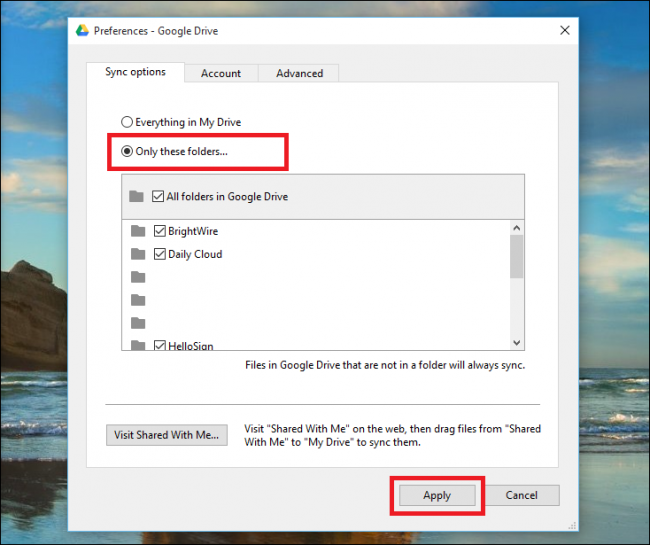 Thankfully, however, the engineers at Google have thought of a way around this problem and created a setting which will enable you to use their Drive apps and management tools 100 percent offline. If you’re like me, the main place you find yourself booting up Google Drive every day is from your desktop or laptop. 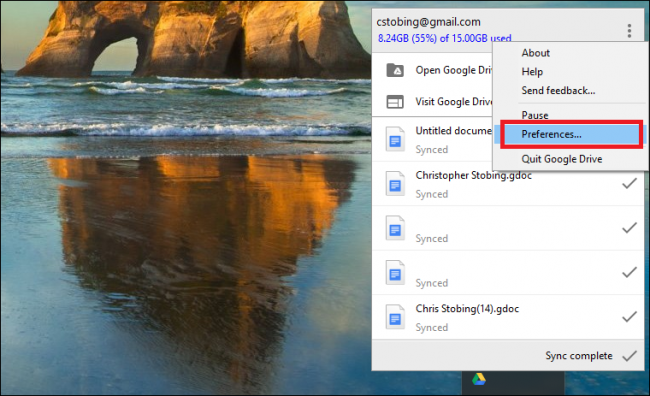 To activate the offline setting on your main PC or Mac, you’ll need to start by downloading Google’s Drive app for your respective operating system, located here. Once Drive is installed, you need to sign in on the account that you want to use offline files with. After the sign-in operation is complete, the app will automatically begin syncing your available files to the desktop, and any that have been brought in from the cloud will immediately be available for full local access and offline editing rights. If you don’t want to sync the entirety of your library all at once, you can alter which files or folders are saved by clicking the Drive taskbar icon, and then selecting “Preferences” from the following menu. The first section of the Preferences page will give you the option to either sync “Everything in My Drive”, or “Only These Folders”. Select the second choice, and scroll through to either enable or disable any files or folders you want attached to your current desktop. 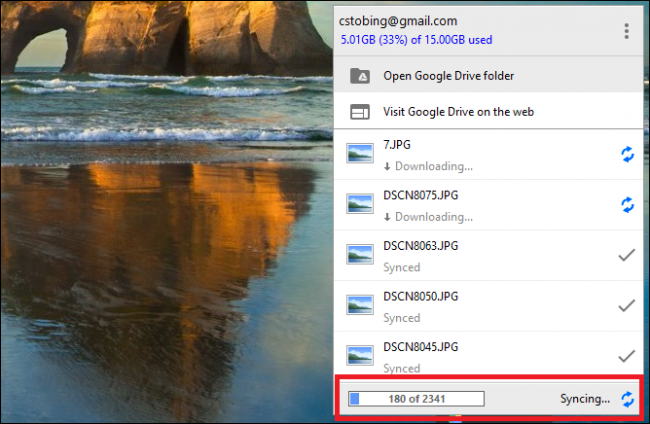 If you want to make offline files work without downloading an extra program on your PC, the same effect as above can also be achieved through Google’s flagship Internet browser: Chrome. Once Chrome is installed (download link here), you’re going to need to find the Google Drive application in the Chrome app store. After this is ready (the button should say “Visit Website” in green if the setup was successful), log in to your preferred Google Drive account. When you’re ready to start the syncing process, simply find the Settings button in the main Drive hub, and bring up the menu highlighted above. 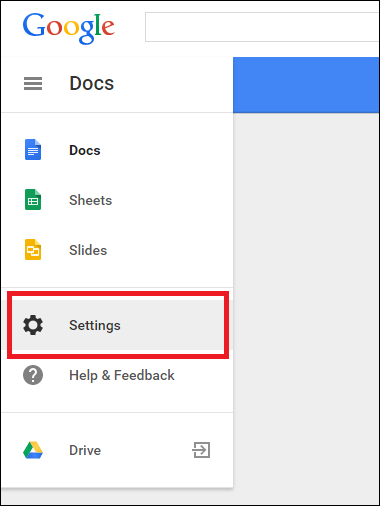 Click the box to enable Google Drive to “Sync Google Docs, Sheets, Slides & Drawings”, at which point your computer will begin the process of downloading local versions of every document or picture stored on the linked account. Once these are pulled down, you’ll be able to freely edit and save any file without a connection to the Internet. 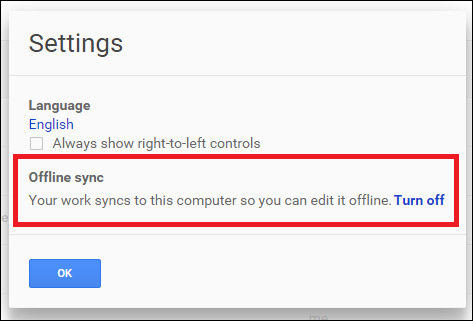 If you want to disable Offline syncing directly from Chrome or your Chromebook, get back into the Drive main page, and then click the menu on the side. Scroll down to settings, where you’ll see the option for “Offline sync”. Once you click this you’ll be taken to a secondary confirmation window, where you’ll need to click “Disable Offline” one last time. Keep in mind that this option will un-sync all your files at once, rather than the one-by-one method mentioned in the previous section. If you’re someone who finds yourself on the road with a WiFi-only tablet or spotty cell service from your phone, Google Drive can also function as an app for both the iOS and Android ecosystems that allows you to edit documents offline. 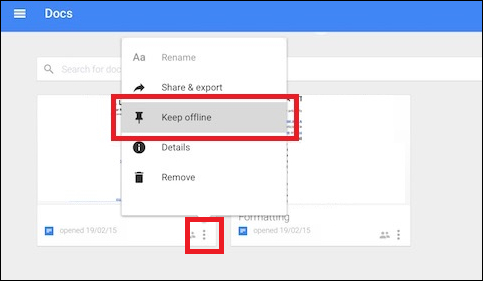 To do this, first you’ll need to open up the app on your mobile device and find the file you want to sync offline. 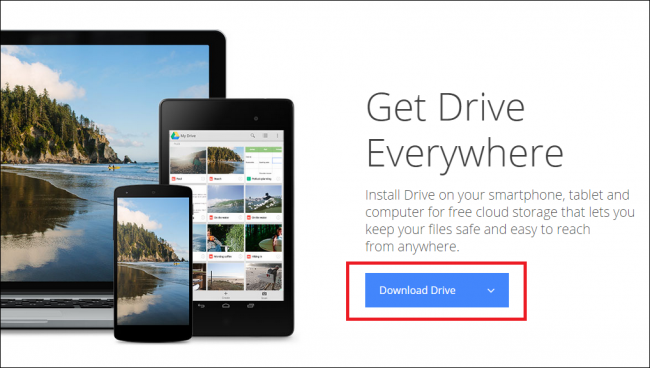 In order to save space and prevent a phone or tablet from going into download overload, Drive for mobile will only allow you to sync documents or spreadsheets for offline use on a file-by-file basis. Once you find the file you want to work on, tap the button next to it which looks like three gray circles stacked on top of one another. Here you’ll see the option to “Keep offline” in the submenu. 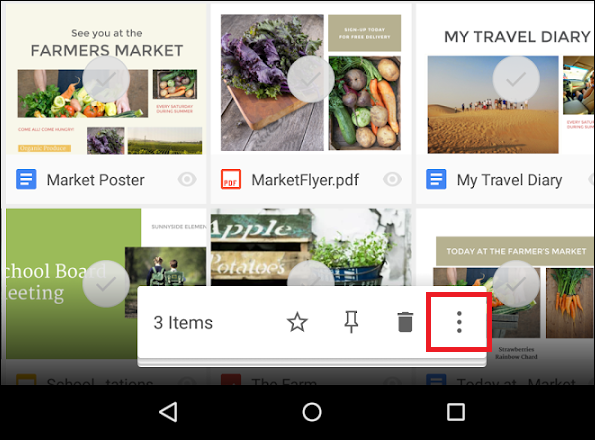 Click on this, and the Google Drive app will notify you as soon as your file is ready to go! If you’re looking to replace a suite of apps like Microsoft Office on the cheap, the offline version of Google Drive is a quick, light, and free option that provides enough functionality and flexibility to keep any productivity pioneer working through the worst of Internet outages.